TUESDAY, Jan. 5, 2016 (HealthDay News) -- Men who take aspirin regularly may have a lower risk of dying from prostate cancer, a new study suggests. "We found that regular aspirin intake after prostate cancer diagnosis decreased the risk of prostate cancer death by almost 40 percent," said lead researcher Dr. Christopher Allard, a urologic oncology fellow at Harvard Medical School in Boston. However, he added, "It is premature to recommend aspirin for prevention of lethal prostate cancer, but men with prostate cancer who may already benefit from aspirin's cardiovascular effects could have one more reason to consider regular aspirin use." Since this was an observational study, no one can draw a direct cause-and-effect link between aspirin use and risk of death from prostate cancer, said Dr. Sumanta Pal, an ASCO expert and an oncologist at City of Hope in Duarte, Calif.
"These studies are certainly thought-provoking, but are best followed by formal clinical trials where we compare use of aspirin to either no treatment or perhaps a placebo," Pal said. Still, Allard speculated that aspirin's ability to suppress platelets in the blood -- which is why aspirin can cause bleeding as a side effect -- might help explain how aspirin could prevent the lethal progression of prostate cancer. "Platelets probably shield circulating cancer cells from immune recognition," he said. "By depleting those platelets, you're allowing the immune system to recognize the cancer." In the study, men without a diagnosis of prostate cancer who took more than three aspirin tablets a week had a 24 percent lower risk of getting a lethal prostate cancer. However, aspirin didn't affect the overall likelihood of being diagnosed with prostate cancer or even high-grade prostate cancer, Allard said. 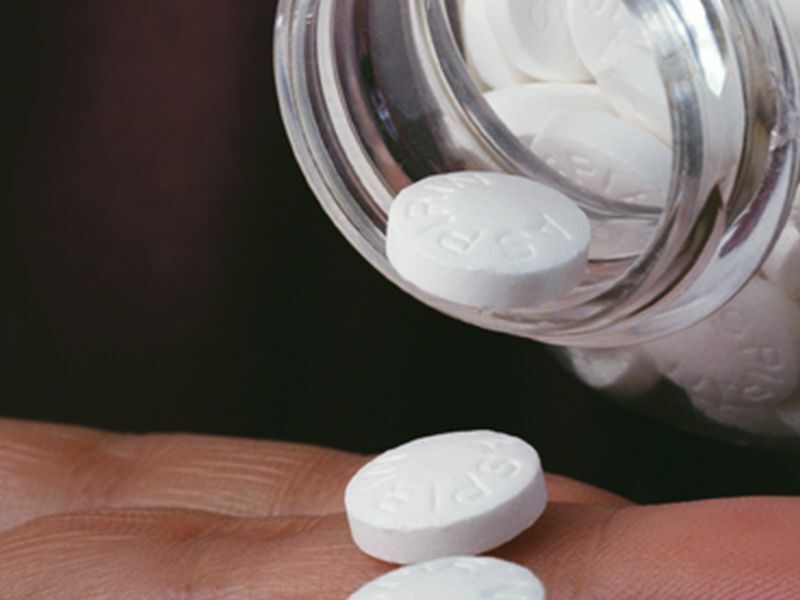 Among men with prostate cancer, regular aspirin use after diagnosis was associated with a 39 percent lower risk of dying from prostate cancer. Use of aspirin before diagnosis didn't have a measurable benefit, the researchers said. The study included information from more than 22,000 men in the Physicians' Health Study. The study began in 1982 to test the benefits and risks of aspirin and beta carotene in the prevention of heart disease and cancer. Another study from the same meeting suggests that an experimental new blood test can be used as a "liquid biopsy." This test can then help determine the best medicines for prostate cancer patients. Patients with circulating cancer cells that varied widely in appearance didn't respond well to hormone therapy, and survived for shorter lengths of time on average, the researchers said. "It's remarkable that a blood test could help us profile cancers in real time, gleaning insights that directly affect patient care decisions," Pal said. "Eventually, we may be able to spare some men with prostate cancer the significant side effects of hormone therapy."